Prosecution submits plea bargain signed by Ghattas in which he admits to the crimes with which he is charged. The Beer Sheva Magistrates Court convicted former MK Basel Ghattas (Joint Arab List) of providing means for performing an act of terror, smuggling electronic equipment into a prison and transferring it to prisoners, transferring letters prohibited according to the Prison's Law, and offenses of fraud and breach of trust. The prosecution submitted the plea bargain signed with Ghattas in which he admitted the offenses he was charged with by the prosecutor. 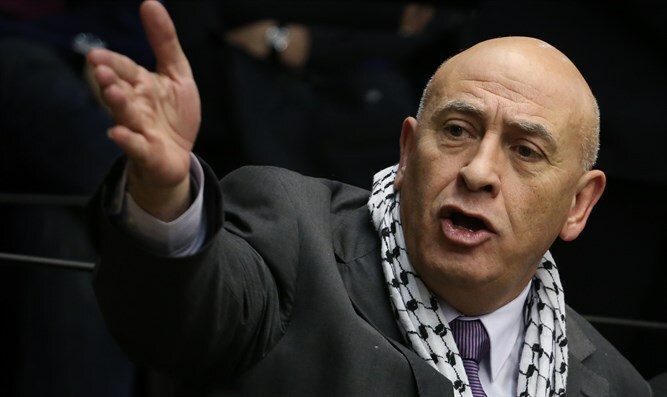 The plea bargain states that after Ghattas admits committing the crimes he is alleged to have committed, he will resign his Knesset seat and serve a two year jail sentence and a two year suspended sentence. "My acts stemmed from conscientious, personal motives and humanitarian feelings toward the prisoners. I take full responsibility for my actions," said Ghattas last week. Ghattas claimed at a press conference in Nazereth that "from the first moment I left the Ketziot prison on December 18th, 2016 up until today, I have been subjected to an aggressive and racist incitement campaign which included police sources spreading lies to create the illusion that I had performed serious security offenses." "The media took part in the lynch against me, trying me in a kangaroo court and consequently, leading the government to cross a number of red lines simply because I am an Arab member of Knesset," added Ghattas. "For the first time, the immunity of an MK was removed under threat. Immediately after this I was arrested for five days without being interrogated during this period."